TMJ stands for TemporoMandibular Joint, or the jaw joint. You have two TMJ’s, one in front of each ear, connecting the lower jaw bone (the mandible) to the skull. The joints allow movement up and down, side to side, and forward and back. The TMJ is used many hundreds of times a day in moving the jaw, biting and chewing, talking and yawning. It is one of the most frequently used joints in the whole body. The temporomandibular joints are highly complex and are composed of muscles, tendons and bones. When the muscles are relaxed and balanced, and both jaw joints open and close comfortably, we are able to fully function without pain. While both men and women experience TMJ problems, the majority of those seeking treatment are women in their childbearing years. Teeth grinding and teeth clenching increase the wear on the cartilage lining of the TMJ. You may be unaware of this behavior unless they are told by someone observing this pattern while sleeping or by a dental professional noticing signs of wear and tear on the teeth. 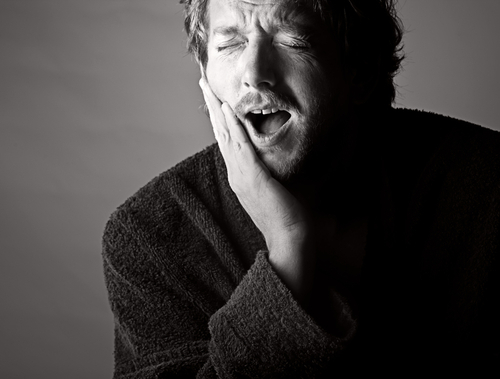 Many patients awaken in the morning with jaw stiffness and pain. Habitual gum chewing or fingernail biting. Dental problems and misalignment of the teeth. You may complain that it is difficult to find a comfortable bite, or that the way their teeth fit together has changed. Chewing on only one side of the jaw can lead to, or be a result of, TMJ problems. Trauma to the jaws. Previous history of broken jaw or fractured facial bones. Stress frequently leads to unreleased nervous energy. It is very common for people under stress to release this nervous energy by either consciously or unconsciously grinding or clenching their teeth. Tasks such as holding the telephone between the head and shoulder. Oftentimes chiropractic treatment can be very helpful for many TMJ problems, because manipulation restores normal motion and mechanics to the joint. At Chiropractic Dubai we treat many patients who endure symptoms that are worsened or even caused by the onset of stress. Most often I treat these problems in conjunction with your dentist. If you are suffering from any of the above, it’s time to make an appointment at chiropractic dubai! Call us on +971 (4) 3481166, or book online at www.chiropracticdubai.com to be checked out!